You’ve got to feel sorry for Nancy Sinatra – well actually, probably not, as she was born into money and probably had an easy upbringing. But musically, you have feel a bit of pity. You see, no matter how many good things she has done, you’ll just think of These Boots Are Made For Walkin’ and not much else. Which is a shame, as she’s done some absolute belters. Check out her classic ‘beauty and the beast’ duet work with Lee Hazlewood, her duet with her dad (Somethin’ Stupid), the quirky covers (Flowers In The Rain), the excellent Bond theme (You Only Live Twice) and her much underrated comeback album of last year. 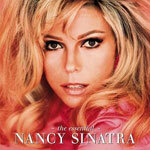 The new Nancy collection, Essential Nancy Sinatra, pretty much covers all the highlights. One or two duffers (that awful remix of Bang Bang for a start), but not much filler over the 26 tracks. 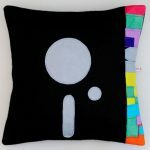 Ansd when you’ve bought that, I’d highly recommend you pick up the Lee and Nanvcy albums too. Check out continuation of article for full album tracklisting.